ACT Police at the scene of the crash. Photos: George Tsotsos. 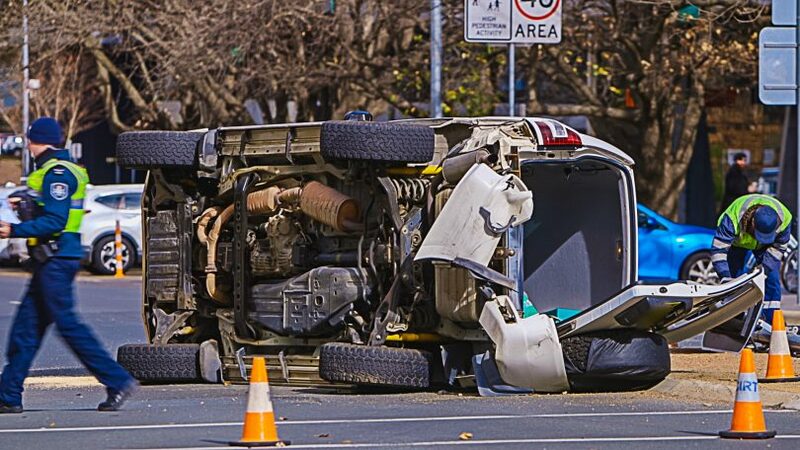 A four-wheel-drive caused havoc in the heart of the city after it rolled onto its side during a two-car collision on Wednesday afternoon (8 August). Around 1:40 pm, emergency services responded to a two-vehicle accident at the intersection of Edinburgh Avenue and Marcus Clarke Street in Civic. A black Ford Focus collided with the 4WD, causing the vehicle to roll, taking out a traffic light. 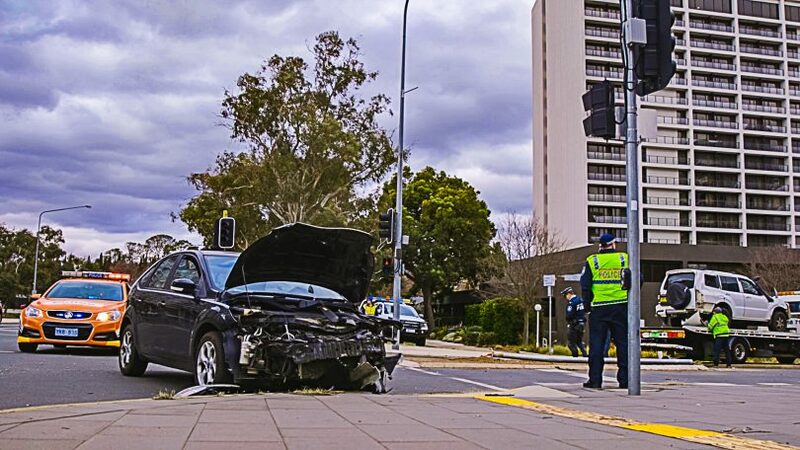 Around 1:40 pm this afternoon, emergency services responded to a two-vehicle accident at the intersection of Edinburgh Avenue and Marcus Clarke Street in Civic. 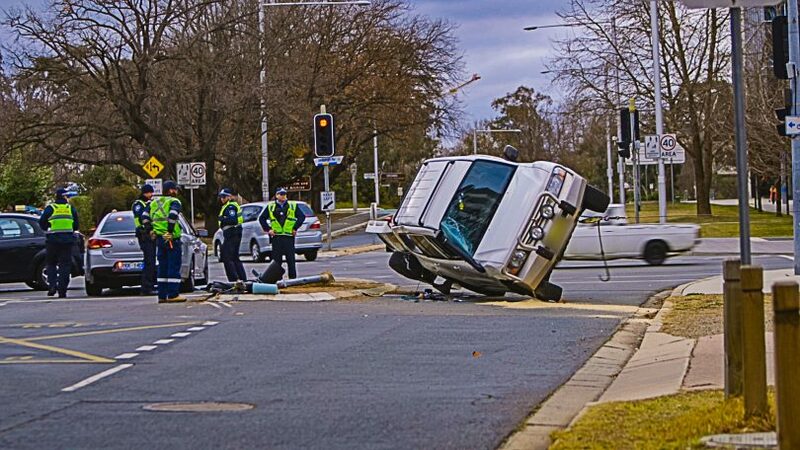 The vehicles collided causing the 4WD to roll, taking out a traffic light. It is believed one person was transported to hospital. ACT Policing are investigating. If you have information or footage of an incident near you, email news@breaking247.com.au or send us a Facebook message. It is believed a patient was taken to hospital as a result of the crash but was in a stable condition. ACT Policing are investigating the cause of the crash.